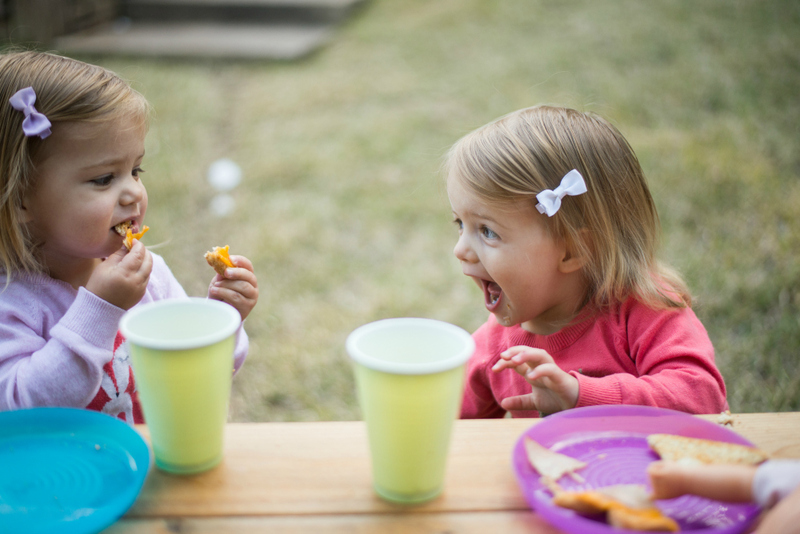 As part of our #JoJoTakeTwo campaign, we asked some of our mums at the London office about teaching their children how to share. Kids will be kids and squabbles are inevitable – but how do you deal with it? Do your children have problems sharing? Yes sometimes – although as they are growing up it is happening less and less. What sort of things do they dislike sharing – you, toys, etc. They don’t like sharing toys at all. Also they have very different view on what they should watch on the telly. When they were younger they used to do things like climbing into my lap when I was playing with the other one and clinging on to me if they felt left out! I try and encourage them to take turns and to be kind to each other. They don’t physically fight much anymore but there are constant cries of “Muuuuuuuuuuuum”. If I see who started it, they now get sent to their room (they’re a bit old for a naughty step). Yes but I feel it’s just part of growing up and learning to respect one and other. Don’t get me wrong there are times when I just want to scream into a pillow after listening to them argue but in the long run it’s better for them to learn that we don’t always get our way but at the same time we need to be kind and share and look after one another. What sort of things do they dislike sharing – you, toys, etc.? Toys mostly, especially if we have just one of something. When Leo was younger I started the two minute rule where I would say things like ‘two minutes till bed time’ and then after a while say ‘one minute till bed time’. This has also come in handy for the children when they want to play with the same thing, by saying this they know as they get a fair warning. I am just glad that young children don’t have any concept of time otherwise It would probably just make things worse!! Choose your battles and don’t make hard work for yourself. It’s hard enough juggling everything else when you’re a parent and children will argue no matter what. It’s all part of growing up and learning; in some ways I feel it can make us stronger and more confident. I would also recomend the two minute rule, it works really well for my two so anything is worth a try. Even though Leo and Darcey argue from time to time they have more loving moments when they play nicely together and enjoy each other’s company. These are the moments I will remember and the arguing will just be distant memory (much like the pain of child birth)! We’d love to hear about how you teach your children to share. Do they happily play together or is it a constant struggle? Comment below with your stories or tips, or join in the conversation over on Twitter, using the hashtag #JoJoTakeTwo. Remember to multibuy and save, now valid on even more of your favourite styles for a limited time only. Click here to shop the collection.